Dr. Timothy M. Hill, General Overseer of the Church of God discusses The Vital Initative with Founding Director, Michael Nations. 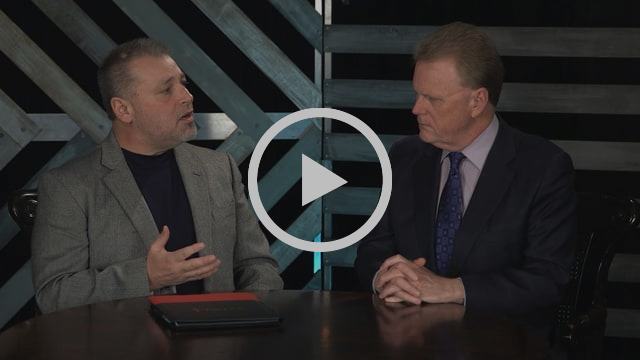 In the above video interview with Michael Nations, General Overseer Dr. Tim Hill embraces and endorses The VITAL Initiative as a process to further THE FINISH COMMITMENT to every Church of God pastor and congregation. Dr. Hill was the first member of the Executive Committee to hear about The VITAL Initiative. In December 2006, Michael Nations, the Founding Director of The VITAL Initiative, met with Dr. Hill (2nd Assistant General Overseer at that time) to share a vision and burden the Lord had given him for the future of the Church of God. After extensive research and much prayer, it became obvious that the future of the Church of God must include small churches operating as outposts of the Kingdom of God in a dark world. It also became clear that pastors of small churches were discouraged, disconnected, disillusioned, and in many cases disengaged. To correct these deficiencies, The VITAL Initiative was created to help the Church of God realize and utilize the place and power of small churches in 21st century Kingdom work by revaluing pastors, reclaiming mission, and revitalizing small churches. The work of The VITAL Initiative is a long-term ethos change process, as opposed to the conventional event driven approach we have used so often. The work will not be completed with one or two events. It must continue as a crucial way we impact our world for Jesus. Small churches are vital to the cause of Christ in the earth and their importance in the harvest can no longer be overlooked. Since that initial meeting with Dr. Hill in 2006, The VITAL Initiative has grown tremendously. Twenty-one state and regional offices have invited The VITAL Initiative to be a part of state meetings to share vitally important information. Fourteen state and regional offices have officially appointed State Facilitators; Virginia, Pennsylvania, and Western North Carolina have appointed State Boards to assist their State Facilitators in furthering The VITAL Initiative. Research shows that there are over 5,200 Church of God pastors in the USA/Canada serving congregations of less than 100. There is still much work to be done. Join the movement! Founding Director Michael Nations continues to pastor the Church of God in Clyde, North Carolina as he has done for the last 23 years. This vibrant congregation of 85 members joins the other 5,279 small Church of God congregations that are reaching the harvest in the United States and Canada.